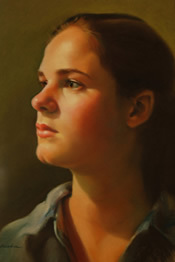 Evie, a third generation native born Floridian, obtained a BA in Visual Art from Florida State University in Tallahassee. Soon after, she followed the sun to Key West, where she ended up managing a Small Luxury Hotel, raising her family and exhibiting her work. 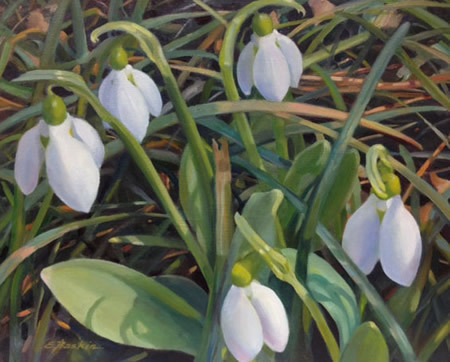 Almost twenty years later, she relocated to Alexandria, Virginia, where she studied figurative oil painting at the Torpedo Factory while managing a law firm in Washington, DC. In 2007, she and her husband “discovered” Chestertown and moved to the Eastern Shore and renovated the garage into a working studio. 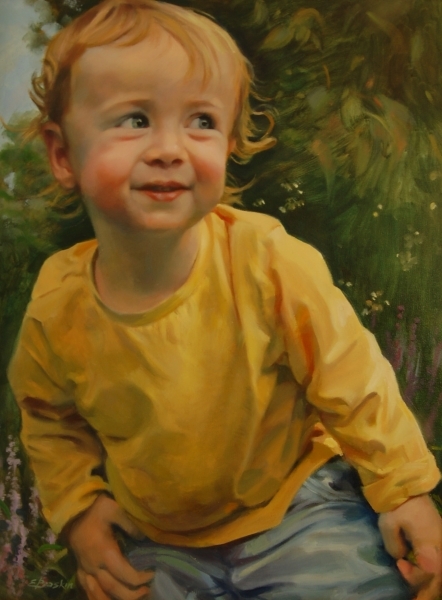 Since then, Evie has had three solo portrait shows in Chestertown and has been the recipient of numerous awards for her landscapes and portraits, winning Best in Show in both KIFA’s Human Forum Show and Chesapeake College’s Annual Open Show two years in a row. 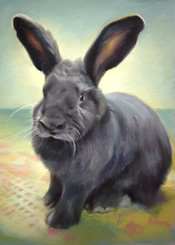 In November, 2014 she won Best in RiverArts Stewardship Show for her pastel, “All That Glitters” and in October, 2015 Evie was honored to be selected as the featured artist for St. Martin’s Ministries Annual Arts Auction. 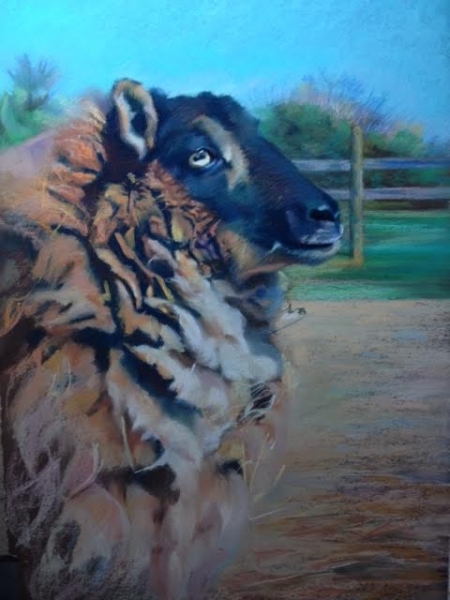 Evie’s rich palette and uncanny ability to capture the spark that lies beneath the surface are common threads in all of her portraits, whether human, beast or fowl. 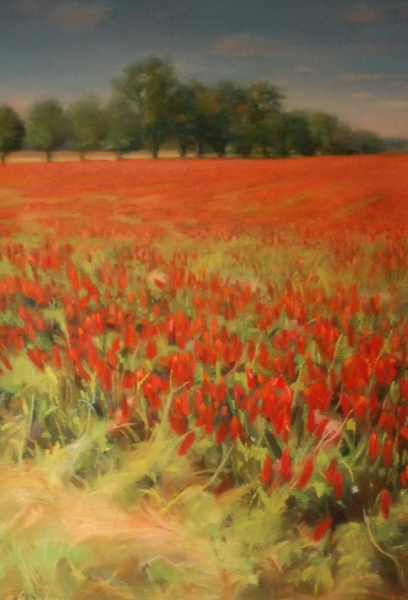 She also enjoys getting out of the studio to paint the seasonal changes in color and light that are reflected in the fields and waterways of the Eastern Shore. In 2015, Evie became a partner with The Artists Gallery. 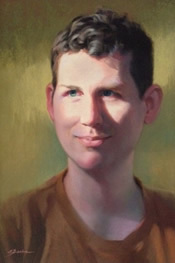 She is also juried member of The Working Artists Forum based in Easton, and a member of RiverArts of Chestertown. 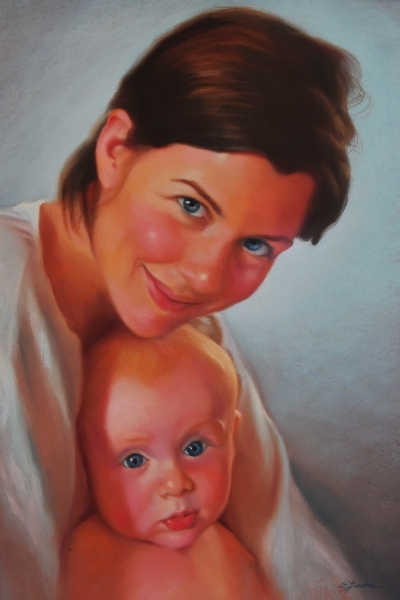 Her studio is located across the Chester River Bridge in Kingstown. 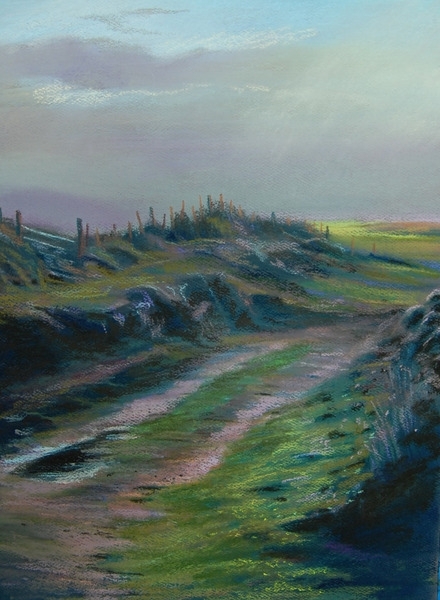 Contact Evie at the Gallery at 410-778-2425 or visit her website at www.eviebaskin.com.